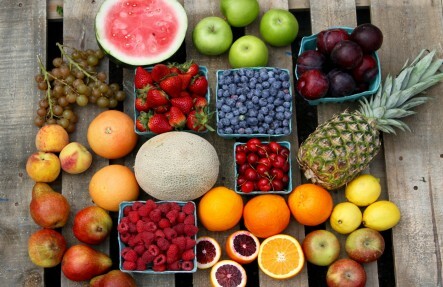 Organic Fruit & Veggie Basket "REGULAR SIZE"
$55 Fruits & Veggies delivered right to your door. This is a week to week Basket of Organic and Sustainably Grown Produce. There is no commitment, order whenever you like! 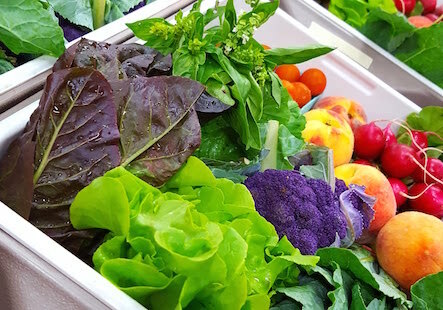 Strawberries | Peaches | Blueberries | Cherries | Plums | Asparagus | Sweet Corn | Broccoli | String Beans Micro Greens | Arugula | Kale | Spinach | Potatoes | Apples | Pears | Carrots | Zucchini | Lettuces | Chard Brussels Sprouts | Lots More! Also, Delicious Organic Out of State Items will supplement the Late Season when Local Fruits come out of season.